The award-winning MAC-568IF-E Wi-Fi Interface connects discreetly to your heat pump’s control board and should only be installed by an authorised installer. The MAC-568IF-E Wi-Fi Interface is available on Mitsubishi Electric High Wall, Floor Mounted, and Ducted Heat Pumps, and can either be purchased as an optional upgrade at time of purchase, or retrofitted to an existing Mitsubishi Electric model. 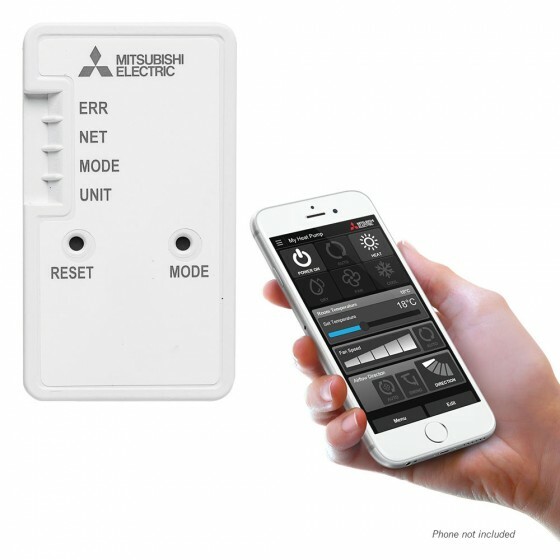 Please contact Mitsubishi Australia to check compatibility with your model.